 Estia Agios Nikolaos is looking for volunteers for the period July 1 to August 31, 2014. · Take part in the different leisure activities that we run. You will have pocket money, accommodation and food, good working surrounding and a unique experience. If you are interested please send us your c.v. and motivation letter.